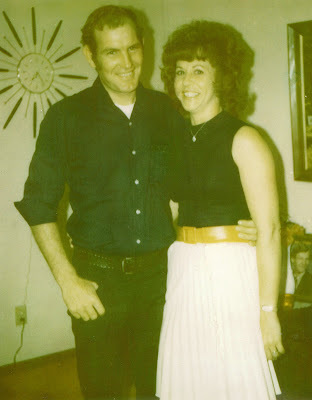 The Funky Felter: Some Oldies But Goodies - Family Photos & a Tribute to My Mom! 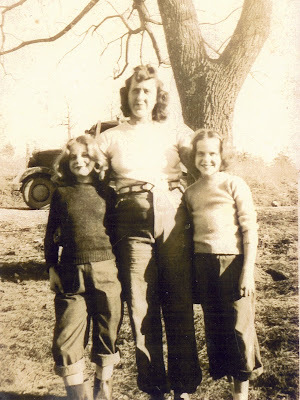 Some Oldies But Goodies - Family Photos & a Tribute to My Mom! My mom's 70th birthday is coming up this weekend. She gave birth to me when she was in her late thirties so she's always been an older mom in age, but she's also always been a younger mom at heart and in her energy and zeal for life. It is just in the past few years that I've realized that my mom is getting older. Sometimes that is hard to see because she has always appeared extremely youthful and vibrant to me. She still is in a lot of ways, but I find it difficult to believe that she's turning 70 years old soon. As part of her birthday present, I scrapbooked a small album for her of family photos over the years. It is a hodge podge of my favorite family photos that documents portions of her entire life. My mom is not a materialistic woman so it can sometimes be hard to purchase just the right gift for her. I'm hoping that the photo album will be something unique that she'll cherish and enjoy. Below are a few of my favorite photos from the album. I thought that I'd share some of them and pay tribute to my wonderful, wonderful mom. but it is one of my absolute favorite photos! Myself (w/baby), my Mom, and my Dad from not too long ago - my how things change! 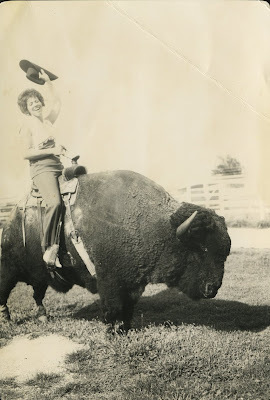 oh, shalana, that pic of your mom on the buffalo is priceless! i can see why you love it :) excited to see pics of your little one here some day soon!